68 percent of U.S. children had both medical and dental preventive care visits in the past year. 20 percent of high school students were bullied in the past year and 16 percent were victims of cyberbullying. Girls were cyberbullied at twice the rate of boys. 41 percent of 18- to 24-year-old citizens voted in the November 2012 elections, compared to 62 percent of all voting-age citizens. The national student-to-counselor ratio is 471 to 1, with only three states doing better than the recommended ratio of 250 to 1. The nation’s high school graduation rate is the highest since the 1970s. The snapshots promote a broader perspective of education reform that prepares students for lifelong learning, career success, and active citizenship. 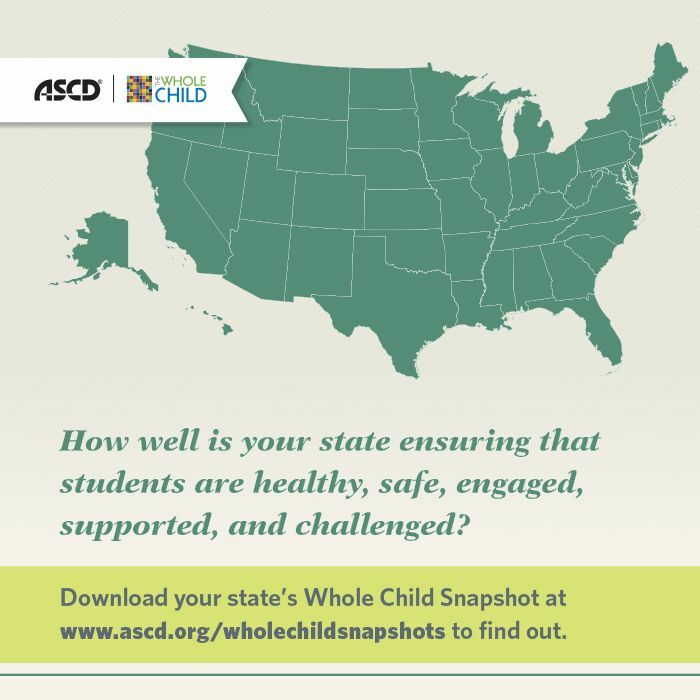 The data give a sense of the nation's progress in supporting the full potential of its students and should spur collaboration and coordination beyond school doors. Establish school health advisory councils with students, family, community, and business members. Offer students an array of extracurricular activities and extended-day learning opportunities, and provide students with academic credit for experiential learning, such as internships, service learning, and apprenticeships with local businessmen. Develop individualized learning plans for all students that connect to their academic and career goals and interests. Provide relevant and challenging coursework through multiple pathways (e.g., Advanced Placement, International/Baccalaureate, dual-enrollment programs) to all interested students. Use accountability systems with multiple metrics that take into account student performance and growth across all core academic subjects, efforts to increase student engagement, and access to varied learning opportunities; publicly report this information. What are the most and least surprising findings? Which indicators do you think most need to be improved? Are the state results consistent with conditions in your local area?